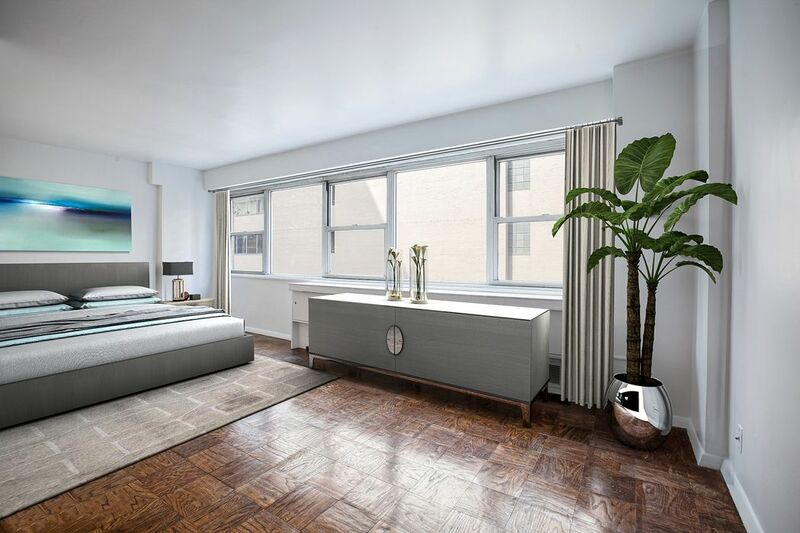 153 East 57th Street Apt 10L, New York, NY 10022 | Sotheby's International Realty, Inc.
Don’t miss this “Best Value” spacious alcove studio with storage galore in a full-service doorman cooperative. Freshly painted and ready for occupancy, this sun-filled and serene home has junior-1 optionality with its perfectly designed floor plan. The gallery foyer offers art opportunity walls and has two double door closets. The corner kitchen has ample cabinet space, 4-burner gas stove, refrigerator and a large porcelain sink. The bedroom area can accommodate a queen or king bed and has a large walk-in closet and a mid-century bath. 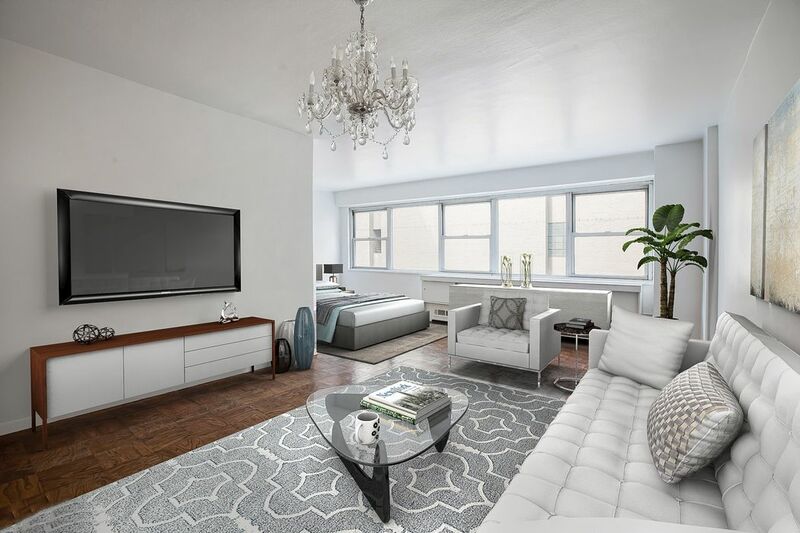 Other features include: through-the-wall air-conditioning, dark-stained hard wood flooring throughout and a generous open floor plan that can accommodate a dining table, an L-shape couch, a coffee table and a media area. 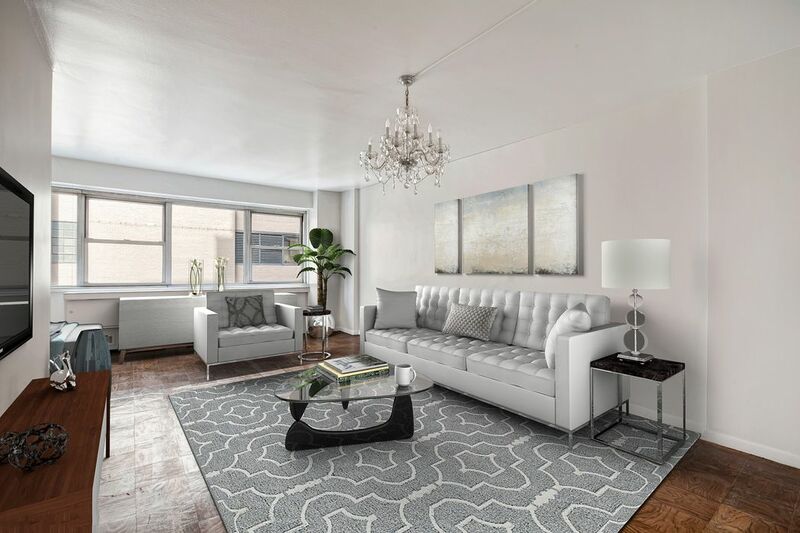 Centrally located to Manhattan’s finest restaurants, Fifth Avenue shopping, Equinox Fitness, Whole Foods and Bloomingdales. There is a transportation hub a short distance away that will take you anywhere you want to go via transit, train or bus. Circa 1959 and converted to 188 apartments in 1986, Gotham Towne House features an elegant lobby, suitcase storage, laundry room with card system and 24 hour parking garage. 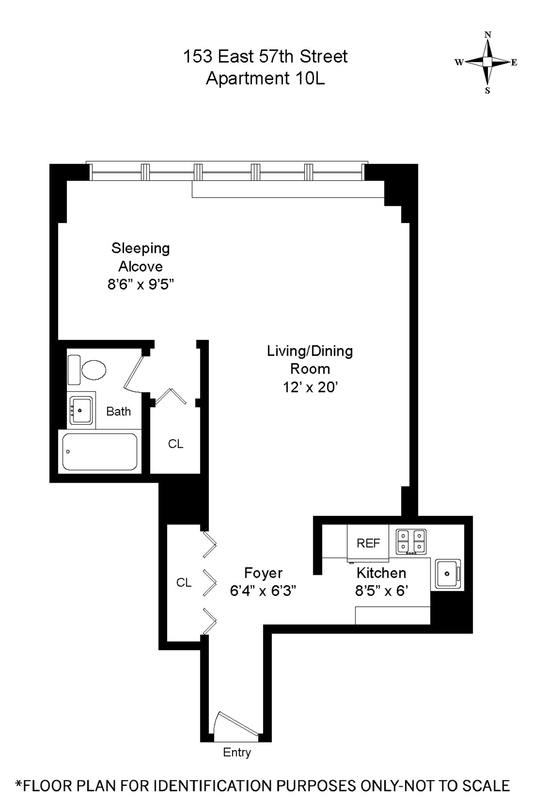 Subletting, co-purchasing and pied-a-terre ownership is permitted. Electricity and water are included in the $950 monthly maintenance. The cooperative has impeccable financials and is well-managed by First Residential. Cats are welcome and there is now a no smoking policy. 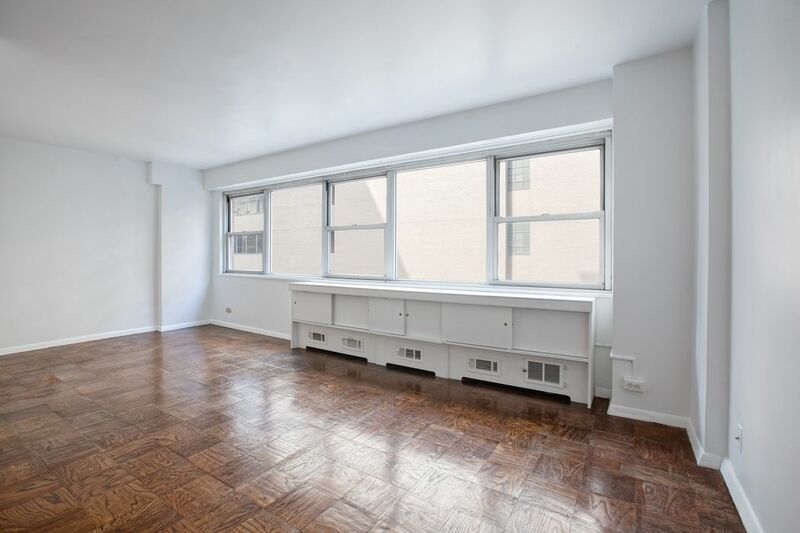 Whether purchasing as a full-time residence or pied-a-terre, this “L” line studio is a great “buy” opportunity. 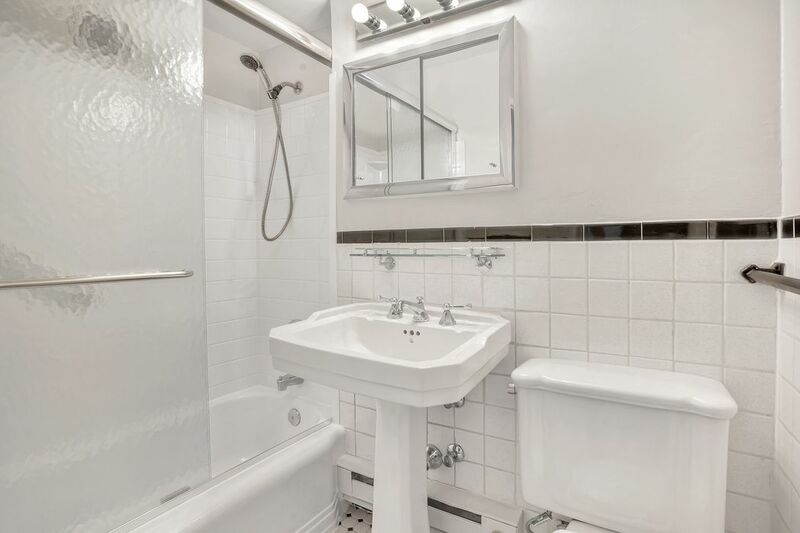 Don’t miss this “Best Value” spacious alcove studio with storage galore in a full-service doorman cooperative. Freshly painted and ready for occupancy, this sun-filled and serene home has junior-1 optionality with its perfectly designed floor plan. The gallery foyer offers art opportunity walls and has two double door closets. 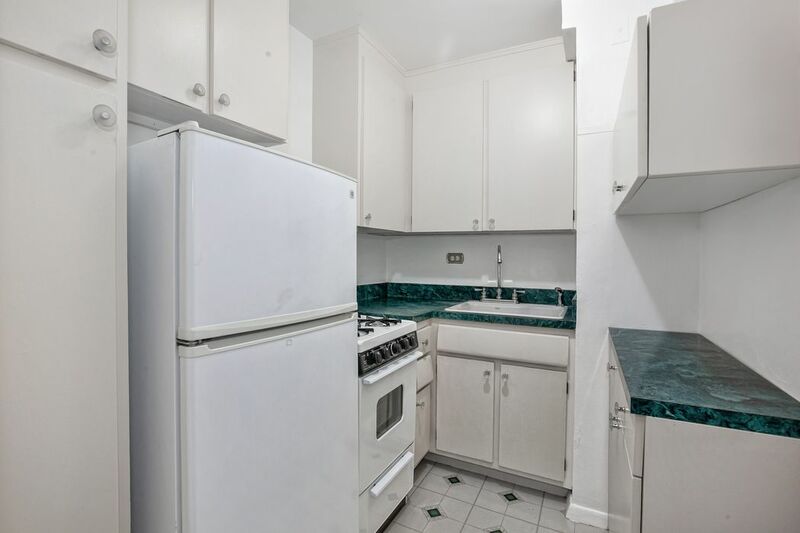 The corner kitchen has ample cabinet space, 4-burner gas stove, refrigerator and a large porcelain sink. The bedroom area can accommodate a queen or king bed and has a large walk-in closet and a mid-century bath. Other features include: through-the-wall air-conditioning, dark-stained hard wood flooring throughout and a generous open floor plan that can accommodate a dining table, an L-shape couch, a coffee table and a media area. Centrally located to Manhattan’s finest restaurants, Fifth Avenue shopping, Equinox Fitness, Whole Foods and Bloomingdales. There is a transportation hub a short distance away that will take you anywhere you want to go via transit, train or bus. Circa 1959 and converted to 188 apartments in 1986, Gotham Towne House features an elegant lobby, suitcase storage, laundry room with card system and 24 hour parking garage. Subletting, co-purchasing and pied-a-terre ownership is permitted. Electricity and water are included in the $950 monthly maintenance. The cooperative has impeccable financials and is well-managed by First Residential. Cats are welcome and there is now a no smoking policy. 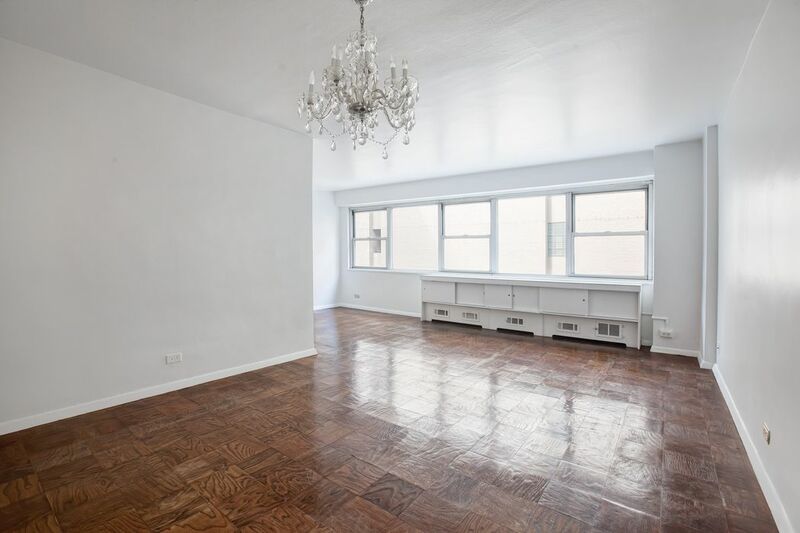 Whether purchasing as a full-time residence or pied-a-terre, this “L” line studio is a great “buy” opportunity.